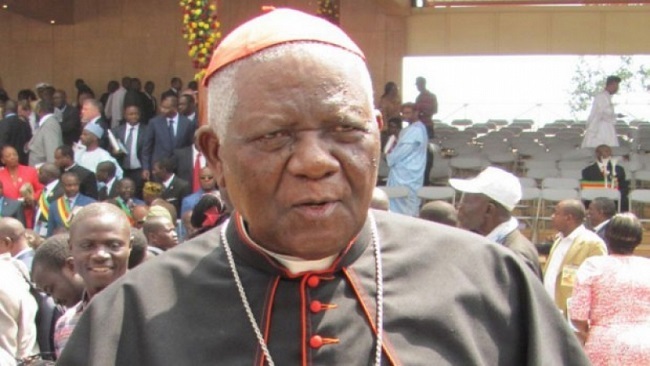 Cardinal Christian Tumi, the Archbishop emeritus of Douala, has accused the Cameroon military of excessive use of force against unarmed civilians in Cameroon’s North West and South West regions. The two English-speaking regions, that constitute 20 percent of Cameroon’s over 24 million people, have been in turmoil for over a year now over perceived marginalization and an assimilation drive by the predominantly French-speaking administration of long-serving President Paul Biya. The current “Anglophone crisis” began in late 2016, when disgruntled lawyers and teachers began protesting the use of French in courts using the Anglo-Saxon common law tradition (practiced in the English parts of the country) and in Anglophone schools. The demonstrations soon spread to the general public, and the calls for outright secession started growing. In the absence of a dialogue initiative from the government, many English-speakers are now calling for secession, and the formation of a new state called Ambazonia. The country’s president has promised to “eliminate the secessionists.” Biya has deployed the military to the two regions, but their actions on the ground have met with severe criticism by Tumi. During a visit to the country’s North West Region, the cardinal gathered harrowing tales of torture, destruction and killings. “I was in Mbim village on 28 February and the military had visited the same village a day earlier,” Tumi told Crux. “I saw and listened to people in their depression…I saw houses that had been reduced to ruins, to dust and ashes. I saw the house of a man who had fled with his wife and six children, reduced to dust and ashes,” the cardinal said. Tumi described various signs of destruction in the village, including a destroyed water project, and a vandalized cooperative union. He also said the military harassed the population and committed crimes against the people. Tumi said the lives of the “simple, innocent people” had been shattered by the actions of the military. “If they are looking for a criminal, let them look for the criminal in all patience. They should not draw the conclusion that since the criminal was in this village, everybody in the village becomes a criminal. It’s not a logical conclusion,” the cardinal said. Similar scenes of destruction are visible in many parts of Cameroon’s South West Region, where “Ambazonian” fighters have been engaged in hit-and-run attacks on security forces. The military action has been hard and decisive, with entire villages being burned to the ground, and several people being killed extrajudicially. “An old woman who couldn’t flee was burnt to death in the South West,” Tumi said. “I saw more than 20 houses burnt down by soldiers and one dead body still lying there, being fed on by dogs and chicken,” said Nkea. “Of the village’s 5,000 or so residents, only 30 remained, all huddled in the house of the area’s priest because they had nowhere else to go,” he said. Tumi also claimed that the crisis could be serving to enrich some top-ranking people in the military. “We are told that some high-ranking military people use the crisis to enrich themselves, because the state spends on these military operations, and the account on how the money is spent is not given,” he told Crux. The cardinal blamed Biya for choosing a military solution for a purely political problem. “The presence of the army is no solution. With a human being, you reason: You don’t use violence as if you are treating a beast. That is why the world is calling for dialogue. Nothing can be done without our meeting to talk about the problems. Many have called for what is called inclusive dialogue. The government should dialogue with everybody,” Tumi said. As the current crisis worsens, several Anglophones have fled to Nigeria, causing a refugee crisis in Cameroon’s neighbor. The United Nations has expressed “great concern” over Nigeria returning dozens of asylum seekers to Cameroon. “We also urge the Government of Cameroon to ensure that the group is treated in accordance with human rights law and standards,” the UN refugee agency said in a statement.